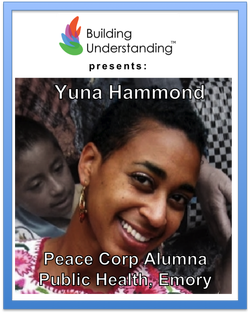 Currently completing a Masters in Public Health at Emory, Yuna previously earned her B.S. 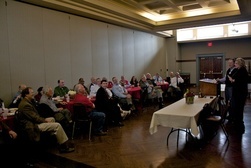 in Neuroscience and Jewish Studies from Emory in 2009. She and her four siblings were involved in community service throughout their lives and this led to her serving as a Peace Corp volunteer in rural Guatemala where her efforts led to systemic public health improvement. 27 months of Peace Corps service in rural Guatemala cemented global public health in Yuna’s mind. Her primary project was to oversee the implementation of the Healthy Schools Program in 21 public elementary schools that spanned two indigenous municipalities. She directly collaborated with 21 principals and over 250 teachers to implement a daily schedule for hand-washing and tooth-brushing. Often, however, the schools had one single faucet for hundreds of students or lacked running water altogether. Her work training communities on grant writing and small project management resulted in the financing and construction of almost a hundred water faucets and various water storage tanks. Additionally, she helped each principal coordinate their staff and the parents to creatively implement healthy habits with over 7,000 students district-wide. Currently, she is looking to bridge field experience with academic knowledge as an MPH candidate in the Global Health Department at Emory.